“BeraTek was incredibly helpful when we decided to build new injection molds for our products… They not only built quality machines for us, but they guided us in the right direction along the way and helped to ensure that our tools would be as efficient as possible, which brought a tremendous amount of value to the overall product development process”. Our team worked together with RSS to develop the Scalpel Caddy. The Scalpel Caddy is a product designed to mount on a surgery cart and for the first time, allow surgeons to select and grab their own tools. Historically, blood born disease transfer in the operating room was an all too frequent occurrence when transferring tools between nurses and surgeons. The Scalpel Caddy acts to combat this concern by providing the surgeon with an eye-level, clear chamber to view and select the right tool for the job themselves. 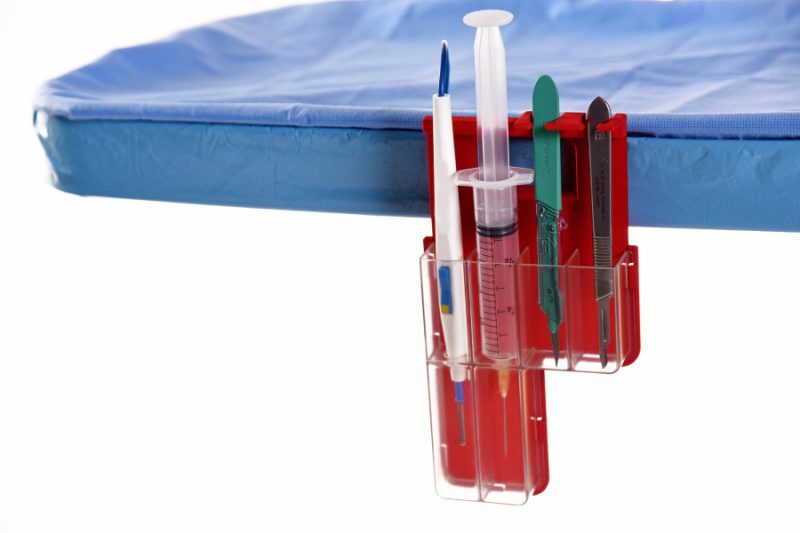 The second version of the product, Scalpel Caddy Plus not only houses scalpels, but all other commonly used sharps as well.